If you forgot your Access password, you data would become inaccessible. Thankfully, now you don’t need to panic as you can perform Access password recovery easily by using some third party application. Password types in MS Access Database. From security point of view, setting a password for various MS Access database is quite worth. Data password: enables you to access your file if you have database-level security set in your .mdb file. User password: specifies a password for the user account. Permissions can be given to some particular user or to a complete group of users. Forgetting access password is very normal, if you don’t remember your access database password, what should you recover access password? 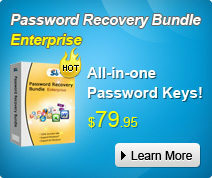 Select a professional Access password recovery tool. An Access password recovery tool can help users to recover Access data password and user password as well, so then they can access to the crucial MDB files of Microsoft Access. Among all the tools on the market, I here would suggest SmartKey Access Password Recovery for it can help you instantly recover the password to any Microsoft Access file type (file extensions of .mdb, .mda, .mdw and .mde). How SmartKey Access Password Recovery Tool Works? Step1: Click “Open” button on the interface to import the target Access file to the program. Step2: On the “Recovery” tab, you can select any one of the 3 attacks to recover password. Step3: Click “Start” button in the menu to initiate the Access Password Recovery. Step4: Few minutes later, you will see your forgotten password will be displayed and you also have another option: Remove All Passwords from the File. Thanks to the successful MS Access password recovery, you now can access to your database freely. Overall, the whole operation is very easy, and complexity or length of the Access password won’t decelerate password recovery process.